Our story begins with you. Listening closely to the needs of nurses, we've thoughtfully designed our scrubs for the way you work and live—with fun colors, easy-care fabrics and plenty of pockets. So every day, you wear confidence and comfort, seam to seam. Textiles are the fabric of who we are. 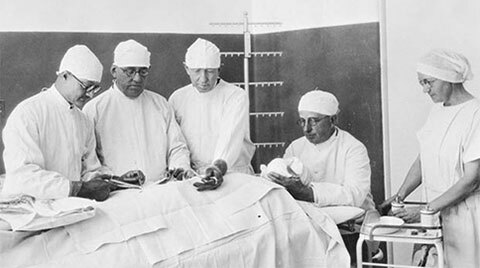 For more than a century, we've outfitted the healthcare industry as the leading provider of apparel. To us, innovation starts with a conversation. An observation. An understanding. And we hear you. When surgeons in the 1920s said the glare on their white aprons was too intense under bright OR lights, we introduced soothing jade green—now the industry standard. Antimicrobial lab coats, long-sleeve OR scrubs and countless other game changers followed suit. Innovation looks good on you. Get dressed for what's next.